The wafting smell of fresh cooked tortillas, meats and spices greets us on arrival to the warm, welcoming restaurant of La Cocina de Doña Esthela in the heart of Valle de Guadalupe’s wine country and the Baja food scene. 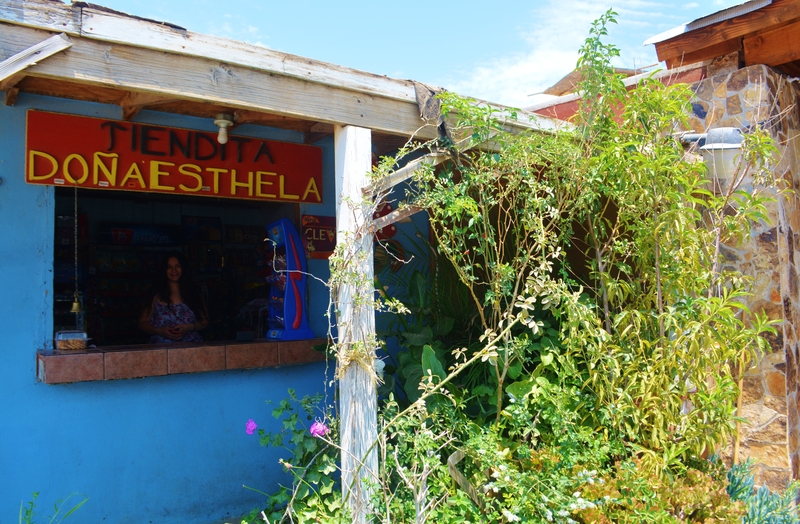 It is lunch time and her restaurant is packed with jovial patrons, American and Mexican, anxious to taste yet another of Doña Esthela’s magical creations. With a huge smile on her happy face, Doña Esthela bustles from the kitchen with her apron on to personally greet us. Her fame spreads beyond the Baja food scene. 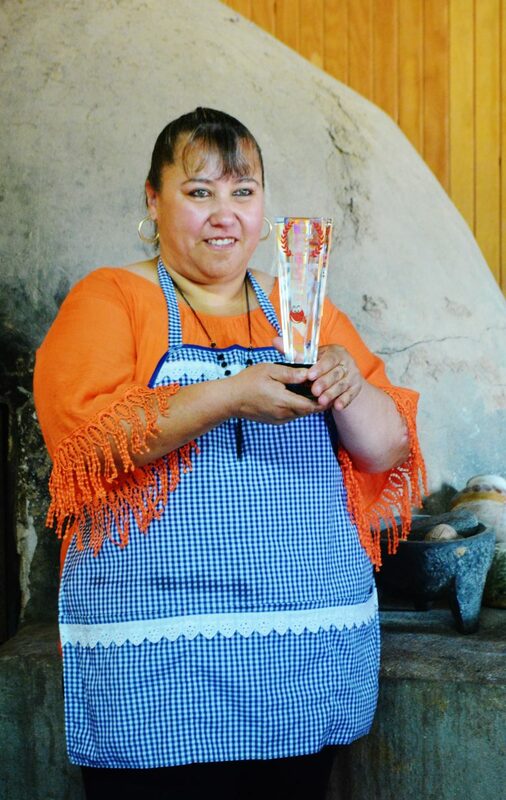 We were there not just to sample some of her savory culinary delights, but, to also see her presented with the trophy that traveled all the way from London to Valle de Guadalupe for the “Best Breakfast in the World” award. Presented by FoodieHub, the world’s largest global network of local food experts, this prestigious award was competed in over 150 cities around the world. In winning, Esthela bested some of the top chefs from renowned food meccas such as New Orleans, London, Melbourne, Tokyo, and Mumbai. The dish that won Doña Esthela this remarkable high achievement was her Machaca con Juevos, a delicious dried shredded-beef dish generously spiced with serrano chiles, bell pepper and garlic, scrambled with fresh eggs from her small farm, and served with a rich, peppery side of refried beans. There is nothing like it I’ve ever tried. Nothing. This coming from a true lover of Mexican foods. 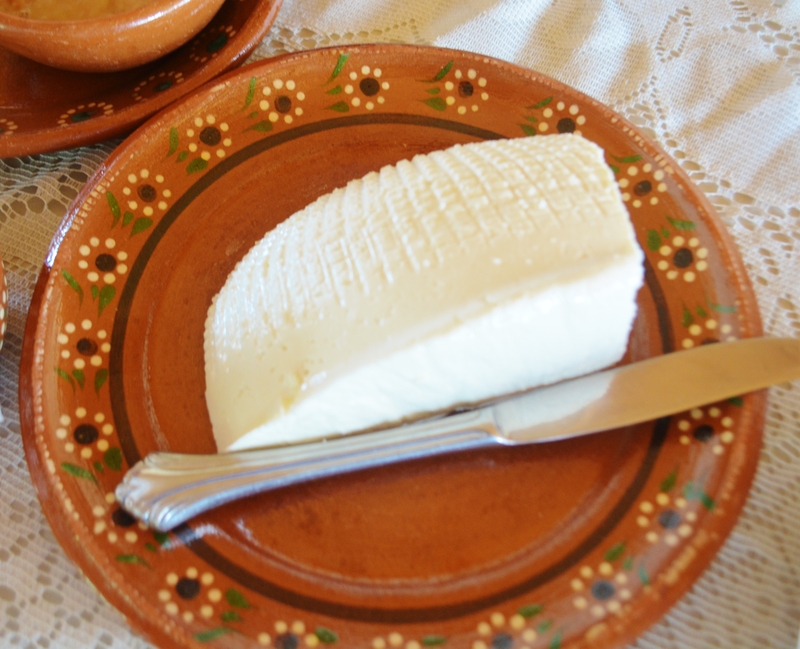 And if that wasn’t enough, we thoroughly enjoyed the additional treat of Esthela’s very own queso fresco. Just how fresh? Esthela makes it daily, a labor of love using dairy products from her own on-site farm. The culinary delights do not stop there. Her house specialty and best seller, the Borrego Tatemado is a tender lamb cooked underground, specially seasoned and served shredded in a consommé bursting with herb and spice flavors. Its exquisite taste is almost indescribable as the flavors blend together perfectly to produce this savory and delicious culinary dish. A wonderful 2014 chilled Tempranillo from a local Ensenada winery was a perfect accompaniment to the meal. The story of Doña Esthela’s success is a fascinating one. Hacienda la Lomita Vineyard just up the hill from the restaurant began building their winery in 2008. At the time, Esthela was cleaning houses and taking in laundry, anything to help support her family. Workers at the winery had no place to eat, so, they would pick up items at Esthela’s tiny convenience store attached to her home. Esthela began to cook for them, inviting them to eat in her small cocina (kitchen) which in time became an everyday ritual. In 2010, her food was discovered by the hungry cast and crew of a telenovela (soap opera) filming at the Lomita Winery. Word of her remarkable culinary talents and warm, friendly kitchen traveled fast. 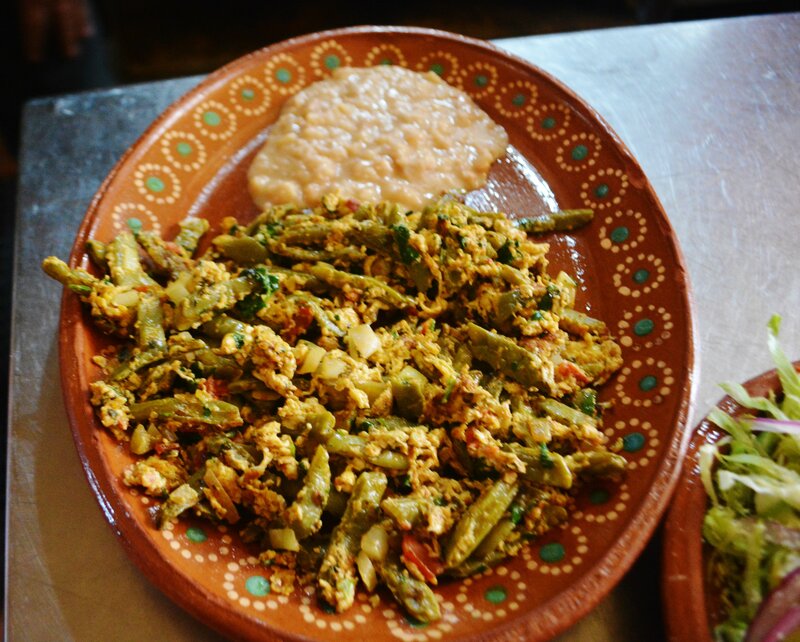 In no time, the restaurant was filled with locals and day visitors from other regions of Baja and southern California eager to share in the bounty. The restaurant eventually got so busy; Esthela had to open an entire new section to accommodate her hungry and expanding clientele. There was no business plan here. It just happened. Today, La Cocina is still very much a family run business- in the restaurant, in the kitchen and on her farm where she raises her own livestock. But it is in that kitchen that Doña Esthela really loves to be. And that love is reflected in her cooking. The restaurant itself retains its rustic roots and the atmosphere is very much like a family kitchen where everyone feels right at home. Rounding out the perfect meal when we were sure our bellies couldn’t possibly hold another bite, Esthela insisted we try her Corn Hotcakes – typically a breakfast item, but extremely popular with her customers. In our case, the hotcakes were the perfect after-dinner dessert. A mix between a pancake and a corn cake with a soft, fluffy texture, the hotcakes were so delectable, they didn’t need a topping. As full as we were, we couldn’t help but take just one more bite. As one of the cocina’s many regular patrons proclaimed, “Now you know why I can’t stop eating when I come here”. Culinary excellence seemed to be the theme of our Baja epicurean adventure as we headed to the coastal oasis of Ensenada on a quest to meet another incredible chef- Doña Sabina Bandera. 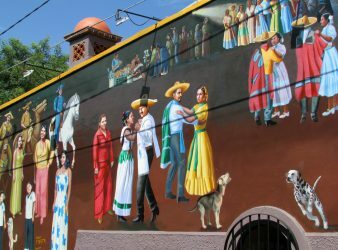 Renowned as the Queen of Mexican Street Food, Sabina Bandera’s La Guerrerense’s food cart has been parked in Ensenada, Baja California, Mexico for the past fifty years. 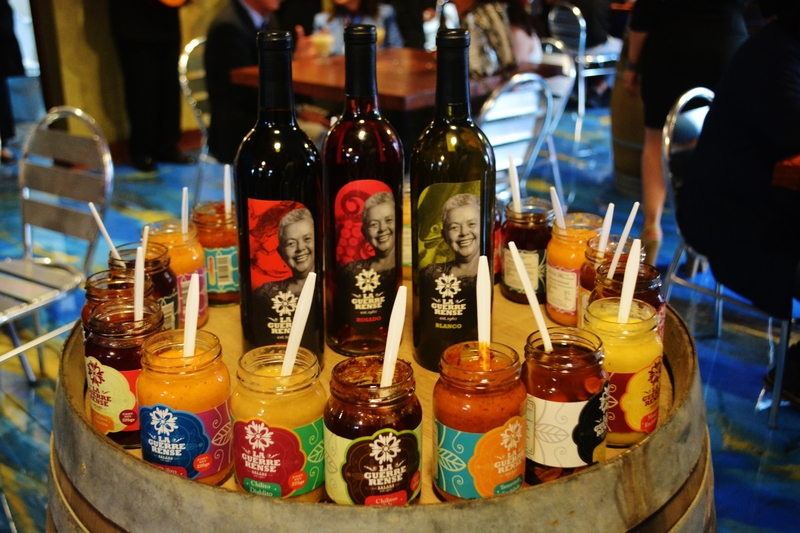 Celebrities, internationally known chefs, frequent visitors and locals all know her well because they’ve enjoyed her tasty culinary treasures and colorful salsas on the Baja food scene for as long as they can remember. Many have called hers the most famous food cart in the world. Famous American chef, Anthony Bourdain, is one of her biggest fans. His immensely popular Travel Channel show, No Reservations uncovers the best culinary cuisines of the world and Sabina was featured in his No Reservations Baja episode. 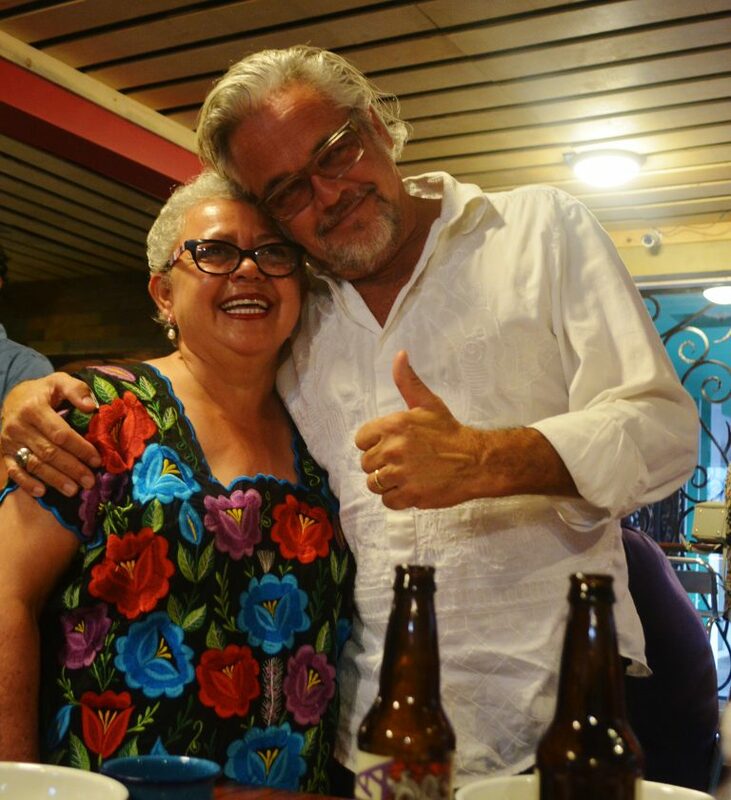 Bourdain not only named La Guerrerense “the best street food on the planet”, he plans to make Doña Sabina one of the cornerstone vendors in his upcoming New York City project, Bourdain Market. A photo of Sabina and Bourdain hangs from a wall in her new Ensenada restaurant, Sabina Restaurante. And the place was buzzing with excitement on our visit because this was her “soft opening”, a special event for those friends and family members nearest and dearest to Sabina’s heart, and those fortunate enough to get an invitation to this momentous occasion. 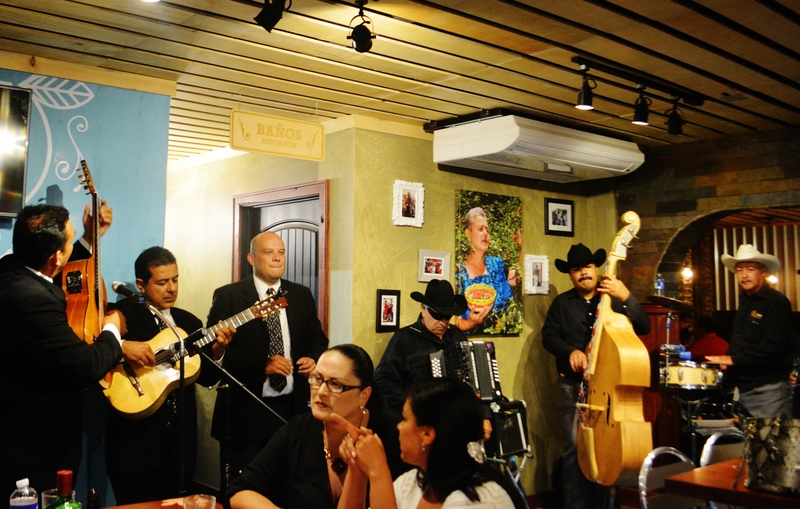 A three piece band serenaded patrons with its colorful Mexican ballads. Sabina, dressed in a colorful shift dress captivated her guests with an engaging smile on her lovely face as she mingled and posed for photos. She is the star and her notoriety is well-earned. Three wines, a blanco, a tinto and a rosato, skillfully crafted by Valle de Guadalupe’s renowned vintner and pioneer of Mexican winemaking, Hugo D’Acosta, were made exclusively for the restaurant. Lines began to form toward the kitchen as the restaurant has a walk-up-to-order arrangement with ample seating in both the main dining room and Plaza Bianca’s outdoor patio. 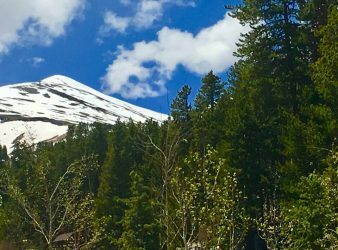 Food choices remain pretty much the same as her food cart offerings, but, local wines and craft beers are now added to the menu and patrons have a place to sit and savor her award-winning entrees. 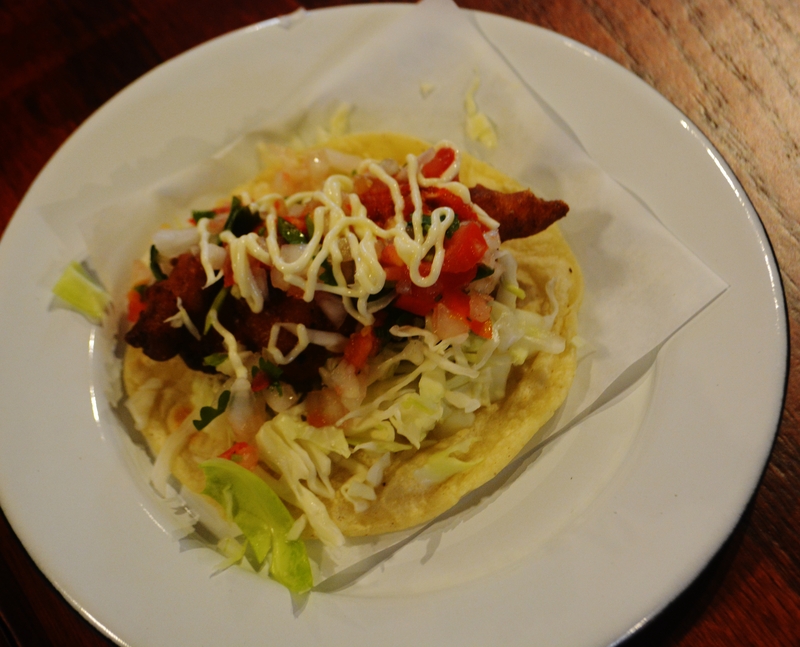 The extensive menu gives diners a myriad of choices, but, her classic mariscos (seafood) favorites are all there-in the form of tacos, tostados, sopas (soups) and more. If these entrees bursting with incredible flavors aren’t enough to tantalize the palate, Sabina’s wonderfully creative sauces and salsas were beautifully arranged on a table in the center of the restaurant, available for experimenting with even more flavors. If you like it spicy, the fiery Chilito Diablito is the one. Sweet? She’s got that too. 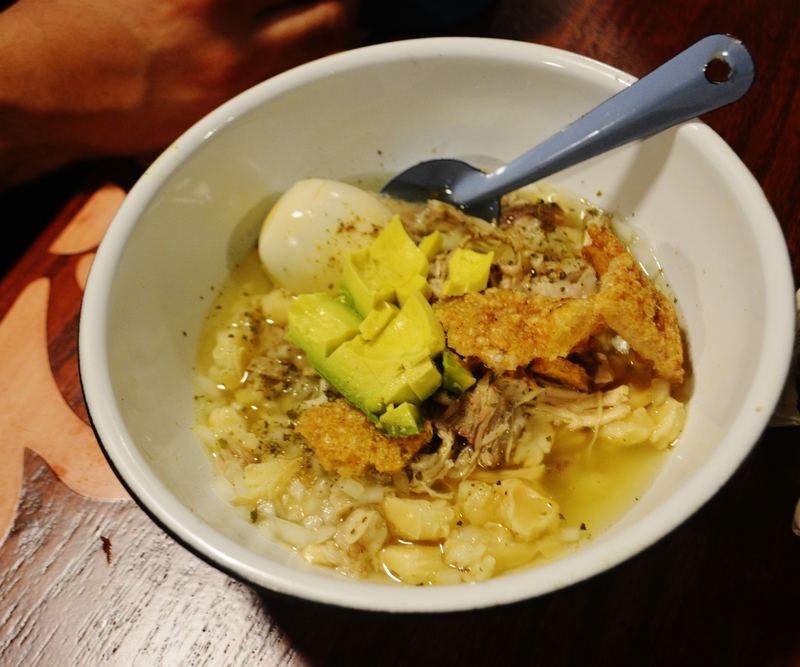 Growing up in Guerrero, Mexico, Sabina was surrounded by pozole and meats galore. Which is why she features two pozoles, her savory Mexican stews on the menu. One a traditional with meat, and the other with seafood. Given the large amounts we saw being ordered at the restaurant; we pretty much confirmed they’re a huge hit with her patrons. Never being around the fruits of the sea until she came to Ensenada, Sabina learned all about the art of ceviche, another one of her incredible offerings. She has the gift of taking what the land and the sea provide and transforming it into her own skillfully prepared culinary delights. That is precisely why people don’t seem to mind standing in long lines for her incredible masterpieces. Harriet Van horn once said that “Cooking is like love. It should be entered into with abandon or not at all”. In Baja California, Mexico these days, there’s a whole lot of love going around. That’s for sure.